Finding the right hairstyle for the right occasion can become quite a challenge on a daily basis, especially if you are dealing with long hair. Add frizzyness to the equation and things will unravel fast. 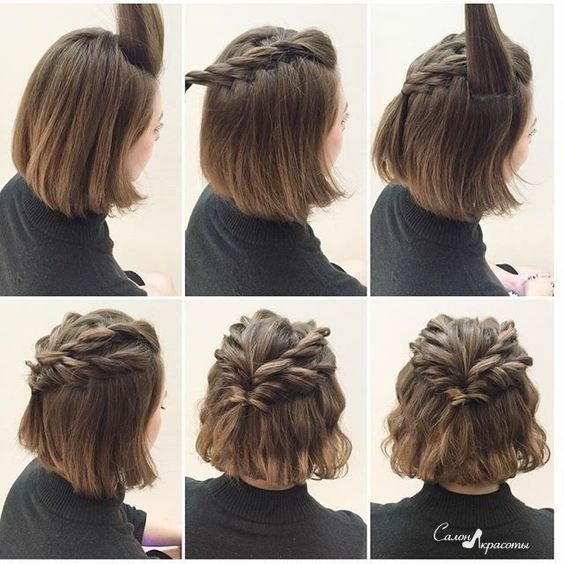 Luckily, creativity knows no boundaries and whether you have long, mid-length or short hair, you can find hundreds of beautiful hairstyles you can replicate in a matter of minutes. Braids and buns can be adjusted to match every outfit and glamoured up with the use of accessories. Cast a glance at our 111 Cute Hairstyles To Go With Any Occasion and choose your next hairdo that will fit your personal style and taste. 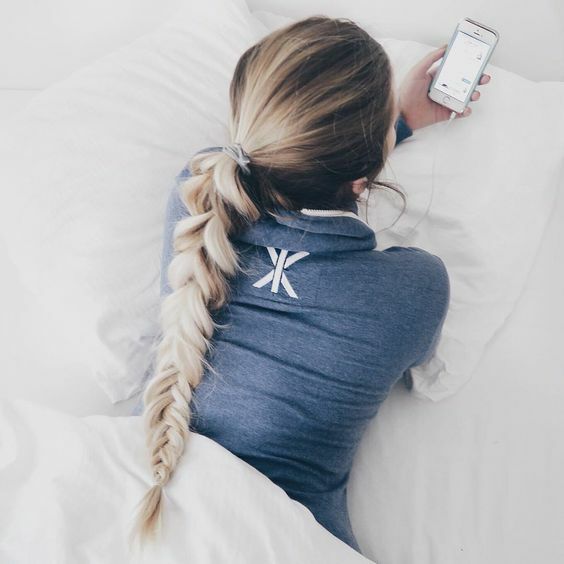 Fishtail braids have a way of making the whole look sophisticated in an instant. Fishtail braids, although very easy, make the braids appear much more intricate, making it fare well with semi-formal and formal events. 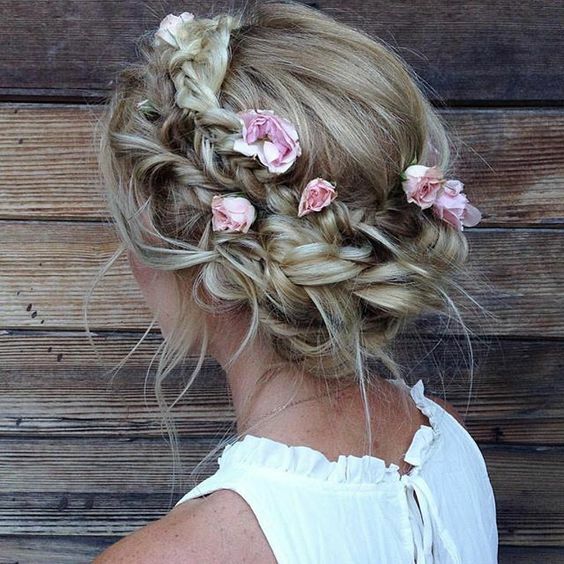 Apart from the beautiful braid, add a more boho-chic vibe by adding floral accents. It doesn’t have to be too much. 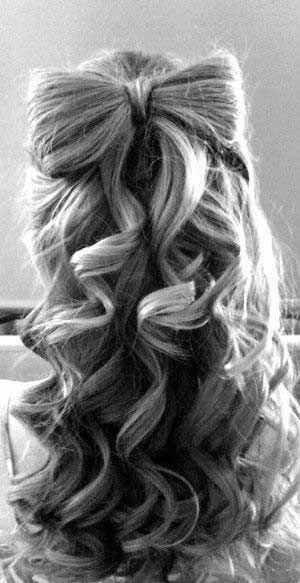 You simply just have to add a few on both sides of the updo to make it even more stunning. 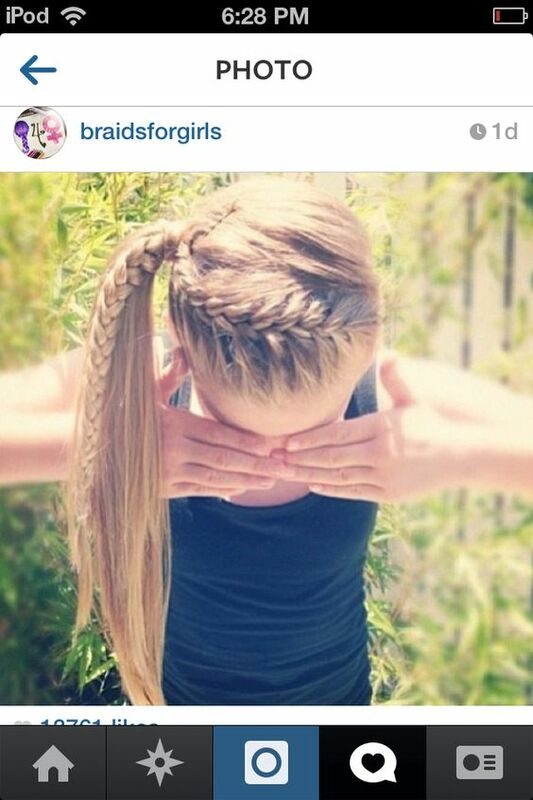 Double Dutch braids are now most commonly called as boxer braids. 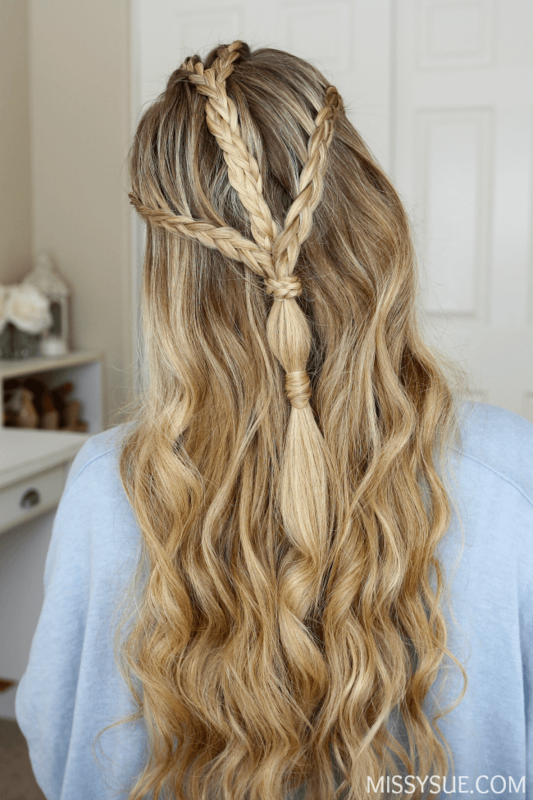 It’s among the easiest hairstyles in the list; created by simply parting the hair in half and then proceeding on creating a Dutch braid on one side and the other. It’s great for casual days when you’re feeling preppy and cute. This is also great when you’re into sports and even dancing. The hairstyle makes it easy to keep the hair away from the face which could be uncomfortable if you’re sweating. Apart from that, it’s also very trendy and stylish. 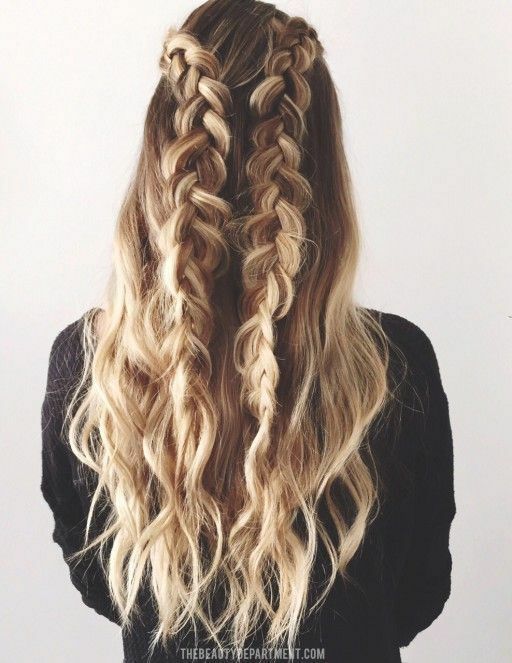 If you want to make it appear bigger, you simply have to pull on the braids gently. 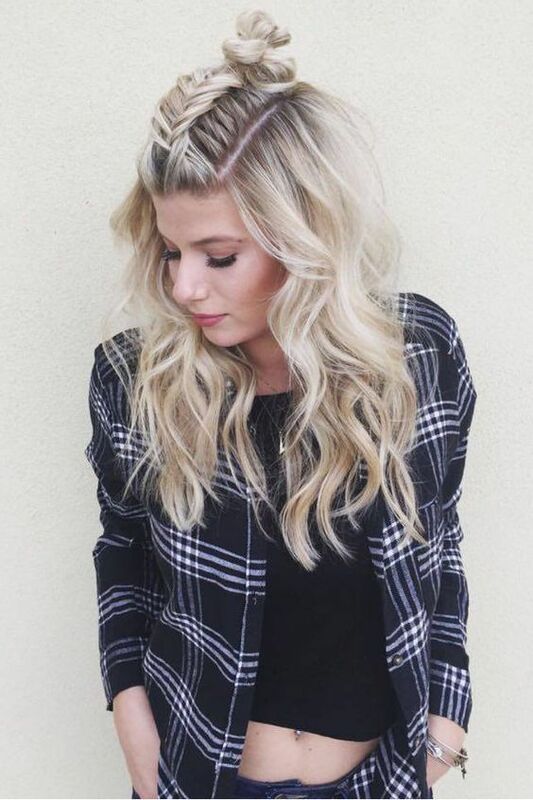 This trendy top knot is the epitome of a casual and fun hairstyle. 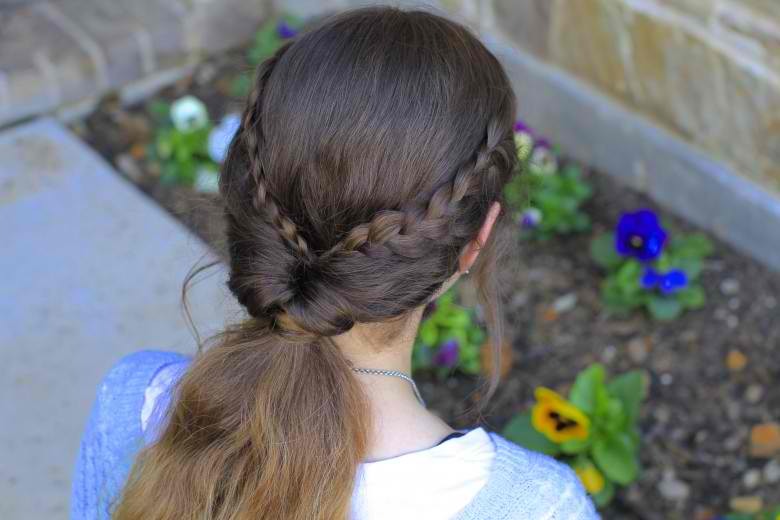 It’s a different variation of the top knot since it’s combined with a fishtail Dutch braid. 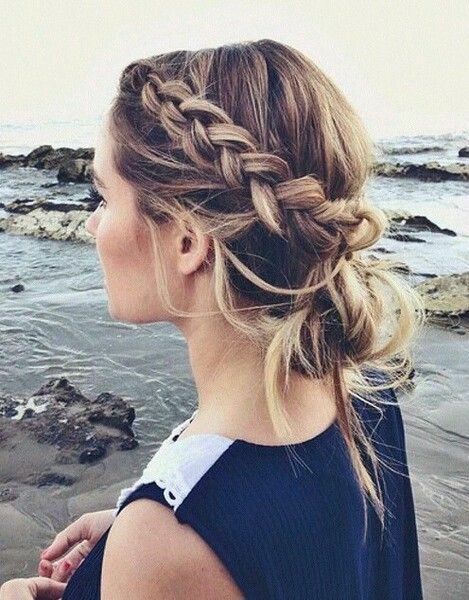 The braid is off to make the hairstyle a lot more stylish and it also benefits you if you want to hang out without worrying about messy hair. 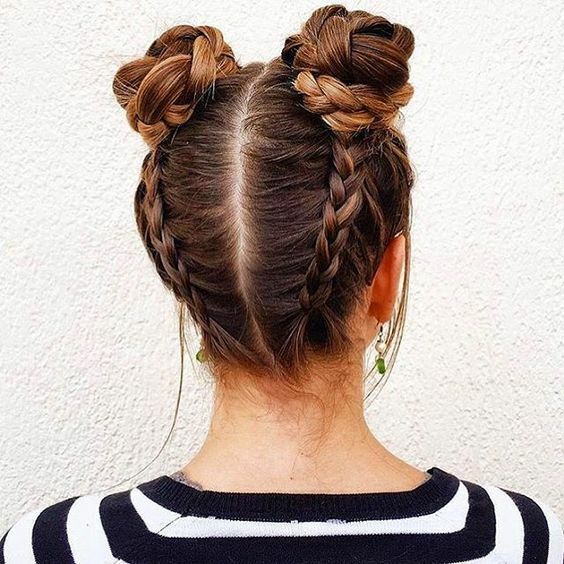 The top knot and the braid will make everything look perfect from the moment you step outside your home to the moment you’re finally about to get rest. 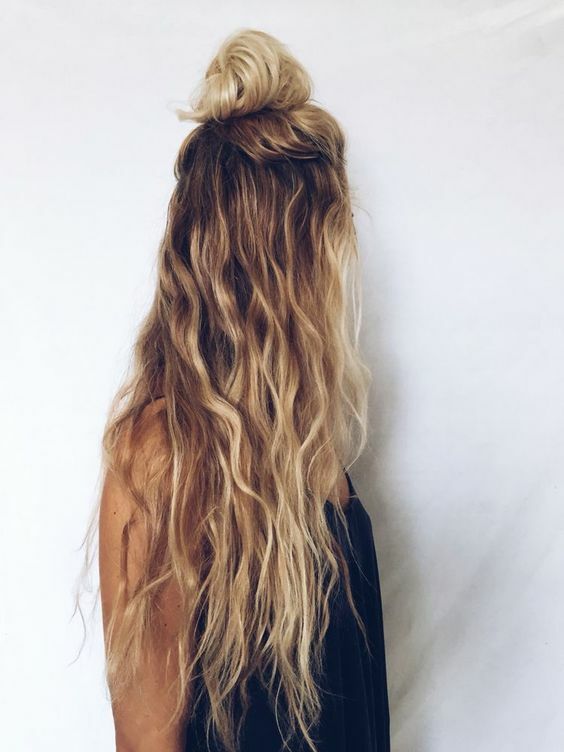 Adding on some waves makes it the perfect look for hanging out with friends. A headband look has never been so gorgeous before. 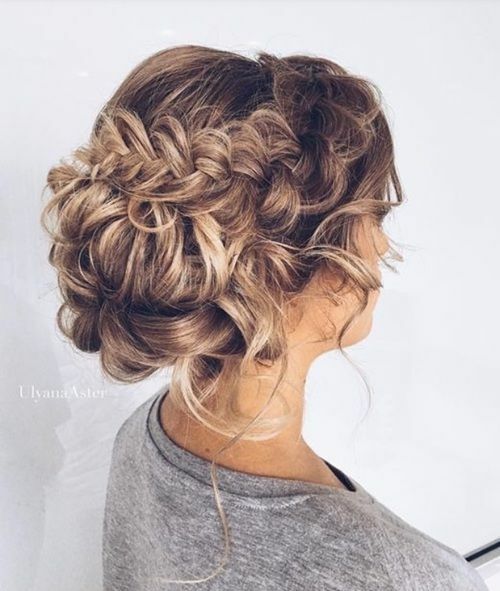 Wrapping your hair and flipping it into a bun has now become a trend and an easy hairstyle for bigger events such as formal dances, proms or even wedding days. It’s really easy and elegant all at the same time. The headband is a cool accessory to the whole updo but it also helps in making sure your bun stays in place. 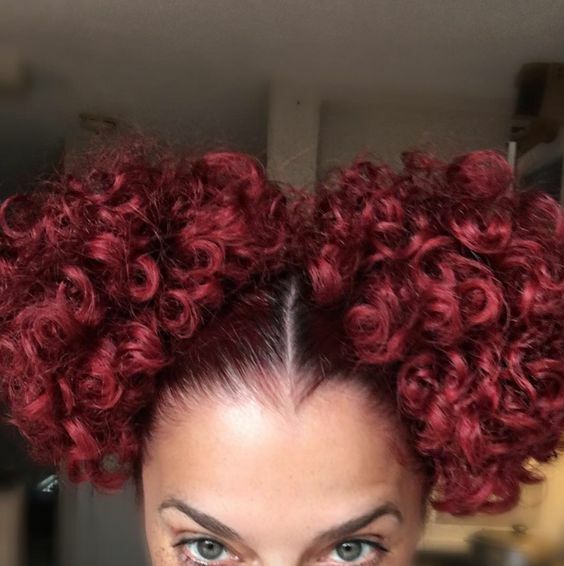 Something really different and yet really adorable are smaller curls. 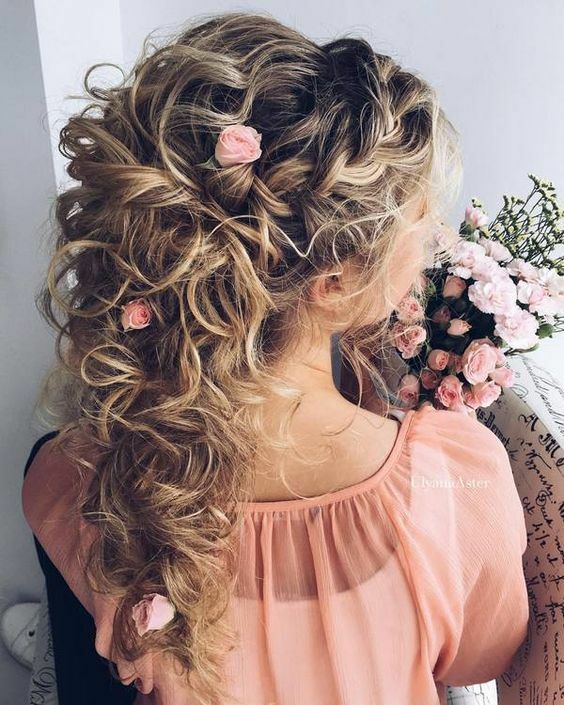 Those are the really small and really curled up curls that come naturally to some people who are gifted with these beautiful hair. Although some want to keep them tamed and straight, others have no trouble keeping it wild and preppy. 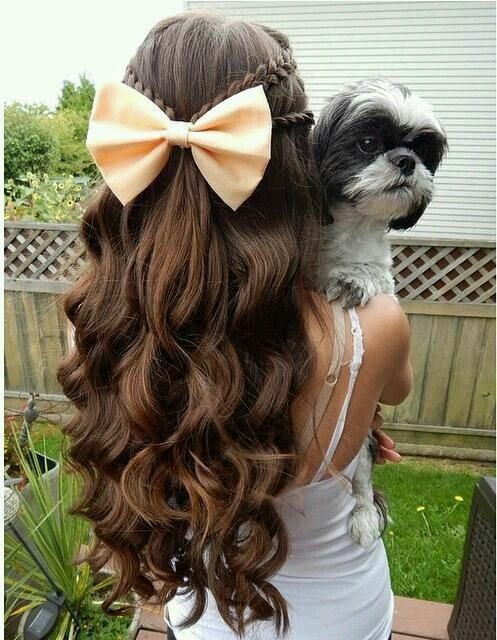 This adorable hair style is a great combination of fun and sporty and is a great hairdo for women will natural curls. 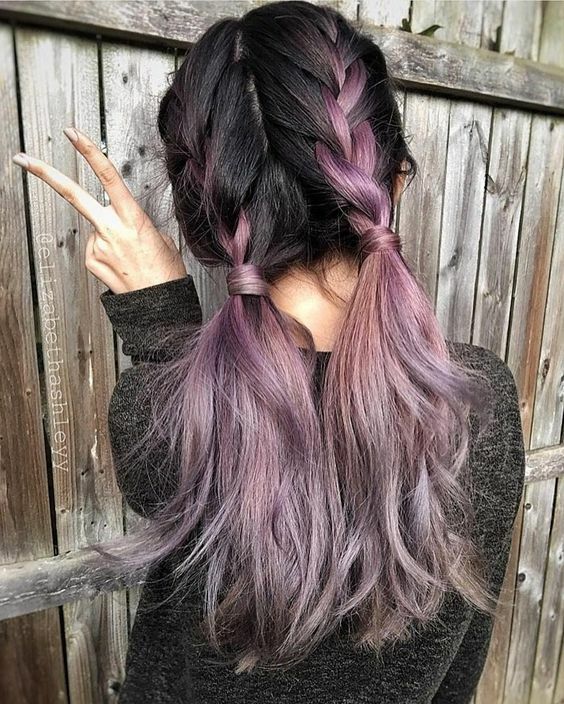 Of course, the hair coloring is optional but it does give some great vibe to the whole look. 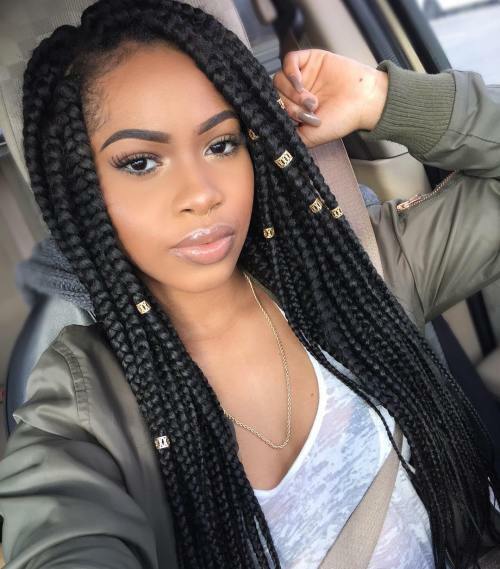 Crown braids are among the favorite hairstyles for any women especially for daytime parties. 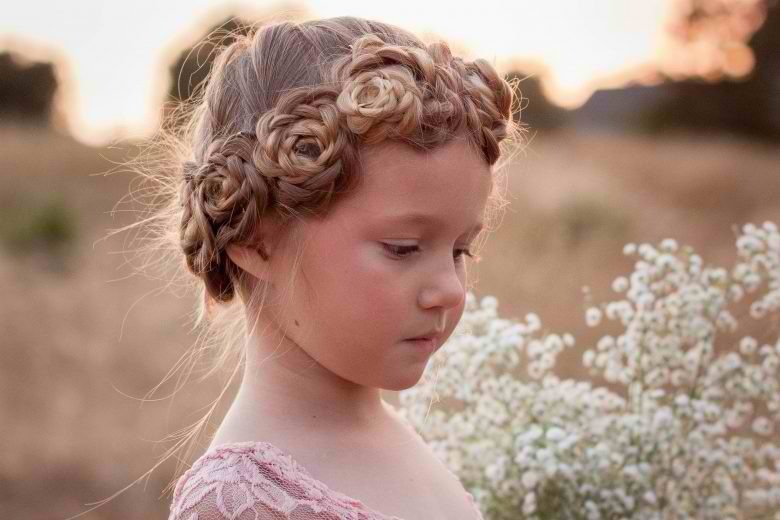 Crown braids are majestic and feminine. 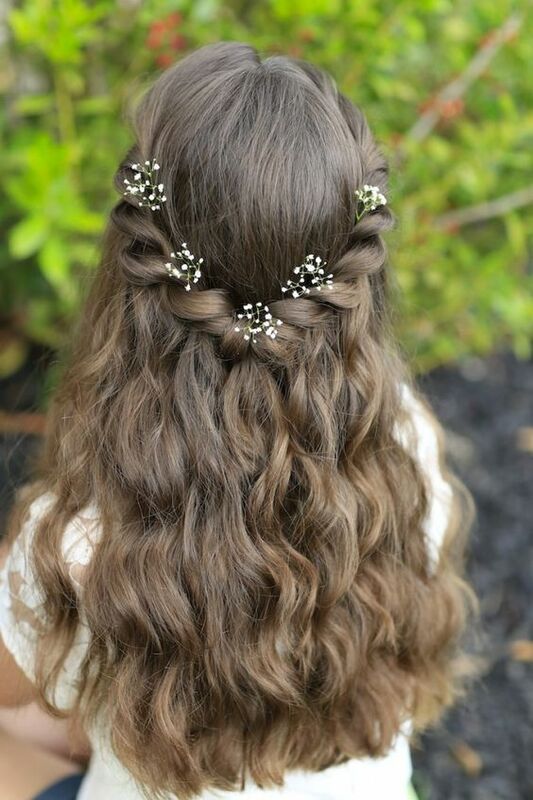 Add some flower hair accessories to make your hairstyle more enchanting. 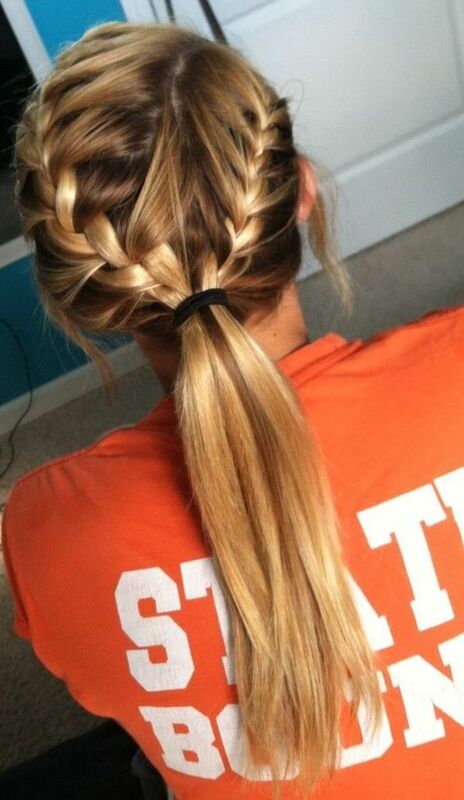 It’s usually done with Dutch braids and French braids that go around the head. You can also make it messier which adds a bit of stunning grace to the whole look. 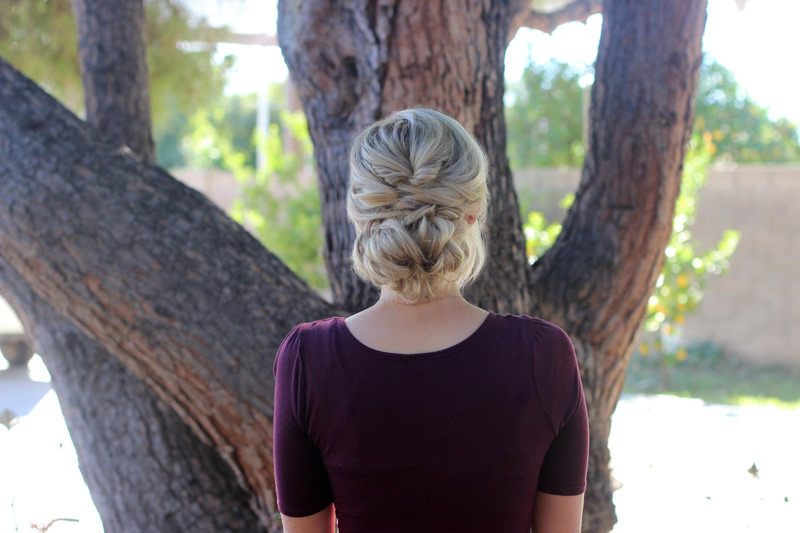 This simple and yet lovely hairstyle is a combination of two French braids which are gathered into a bun. Although the look is fairly simple, it keeps everything neat and fresh. Just leave it to the waves to make the look much attractive. 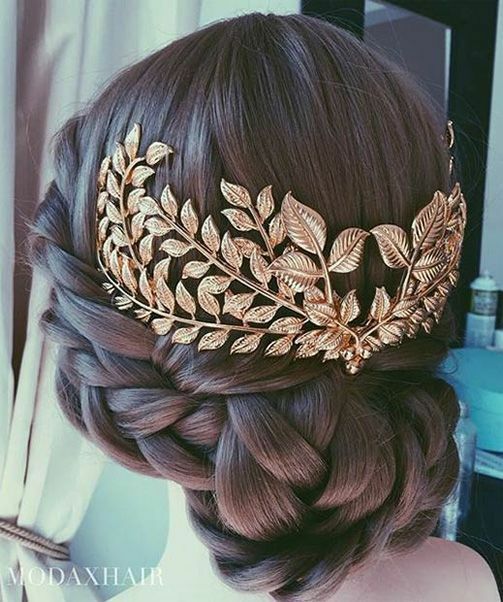 It’s a perfect hairstyle for proms and homecomings when all you really want to do is to keep the attention to your lovely face. It’s also a practical hairdo if you’re going to dance all night. Ballerinas are often linked to their gracefulness and their ability to remain stunning and gorgeous while doing superhuman moves. Even if their movements are what makes them great, their facial expressions reveal as much of the story they are trying to say. They do not say any lines, just telling the story with their bodies and how they look. 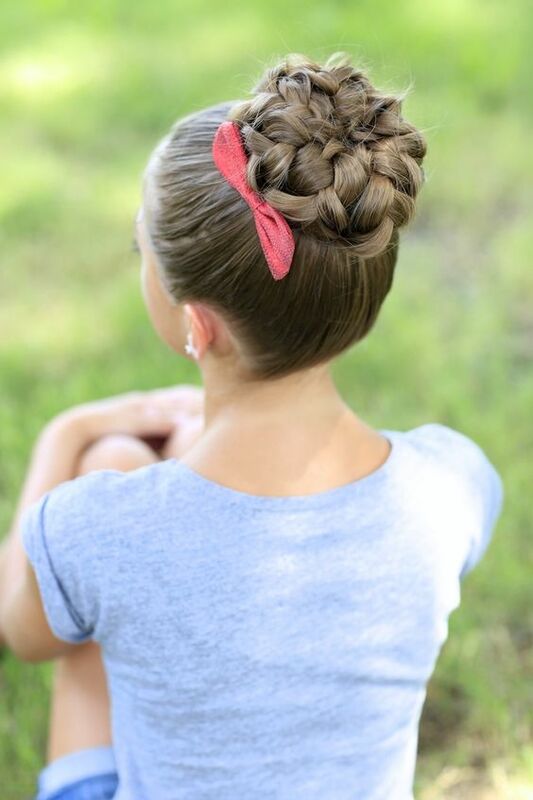 This braided bun is the perfect hairstyle for any ballerina, whether they are just starting with their first dance ever or if they have solo parts in bigger productions. 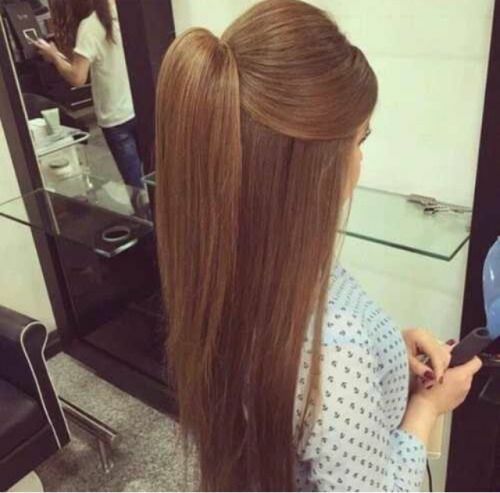 The hairstyle keeps the hair away from the face. More so, it helps them look regal and simply elegant. 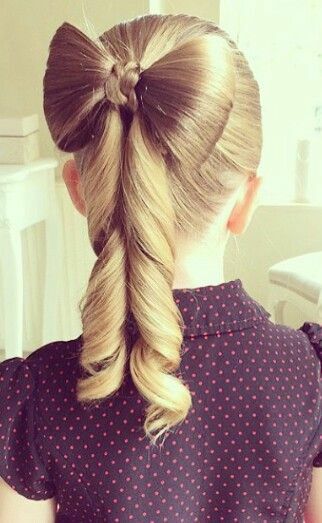 Possibly one of the quirkiest and yet most fabulous hairstyles you can do is the hair bow. 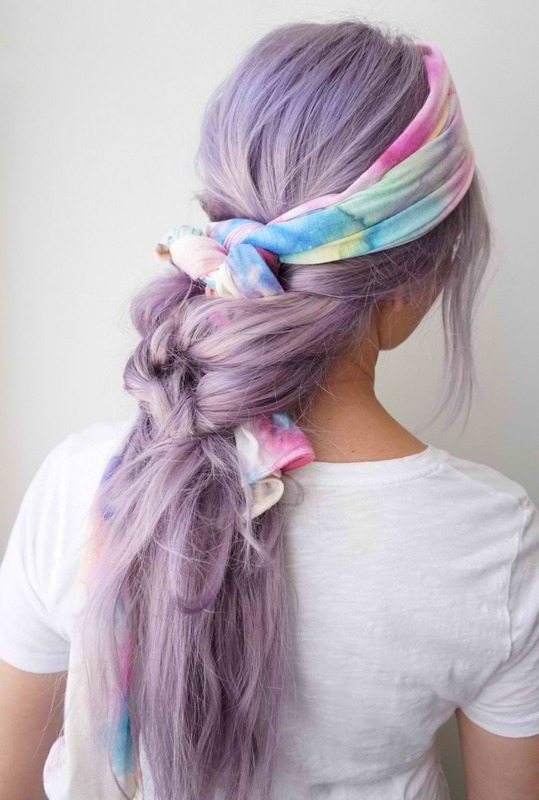 No, it’s not the hair bow accessory that you can buy and simply pin to your hair. 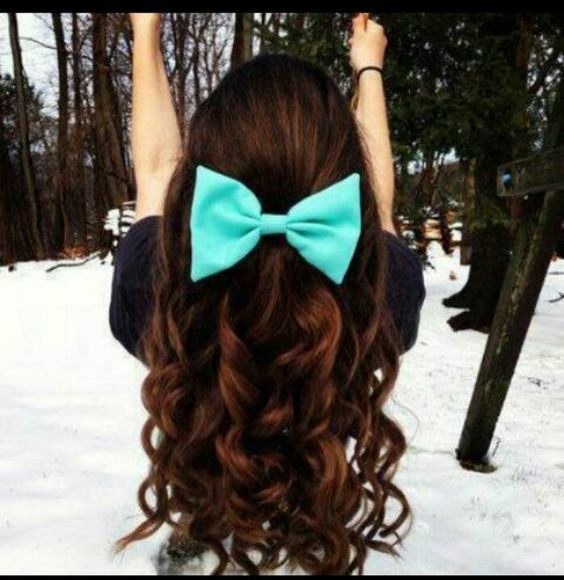 It’s the type of hair bow that you really do with your hair. At first glance, the look may be quite hard. 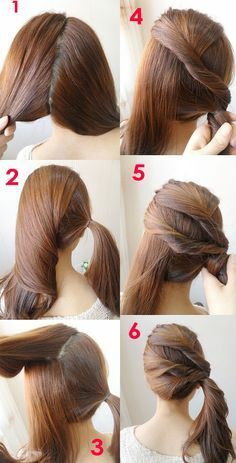 But this helpful step-by-step tutorial will help you master how to pull a hair bow with your tied back half updo hair. 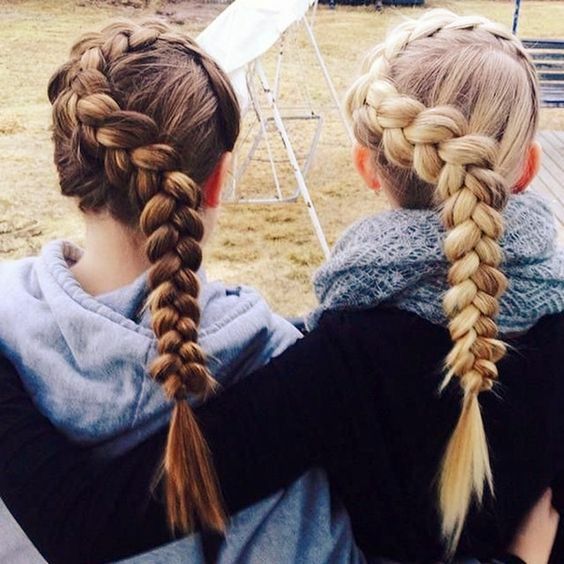 Boxer braids are made of two bigger Dutch braids truned into pigtails. 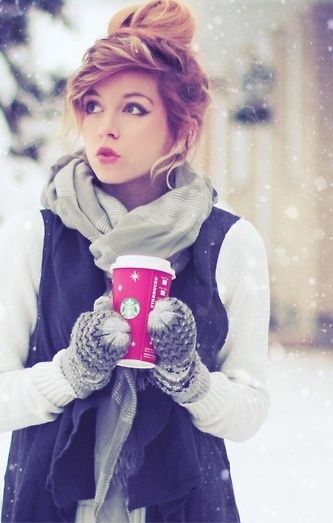 This look may be quite similar; except it’s only done on the top half part of the hair. 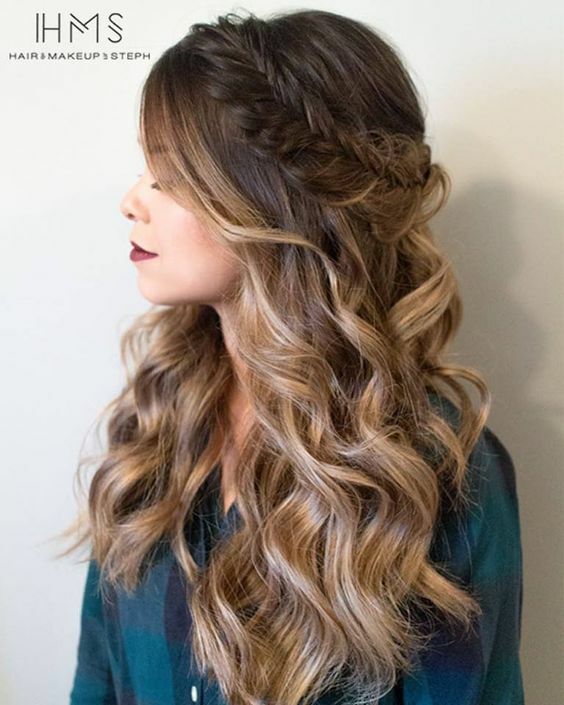 The remaining loose strands are curled into beach waves to achieve a more dazzling and glamorous look. 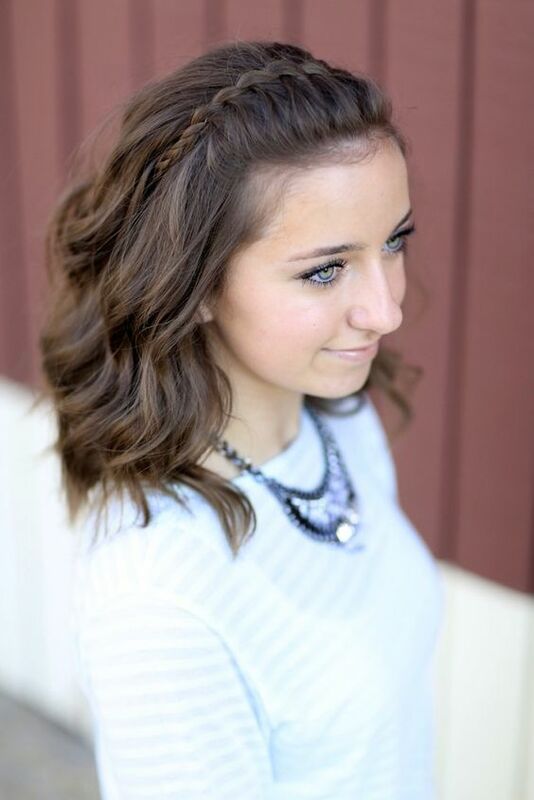 This is an all-around hairstyle,l meaning you can do it for formal and casual events alike. 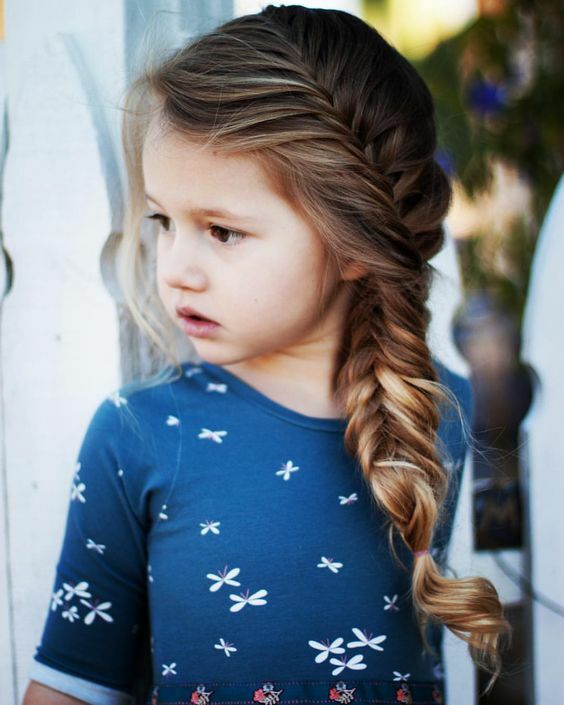 Fishtail braids are usually done one the end of a ponytail or perhaps as a side braid or a half updo braid. 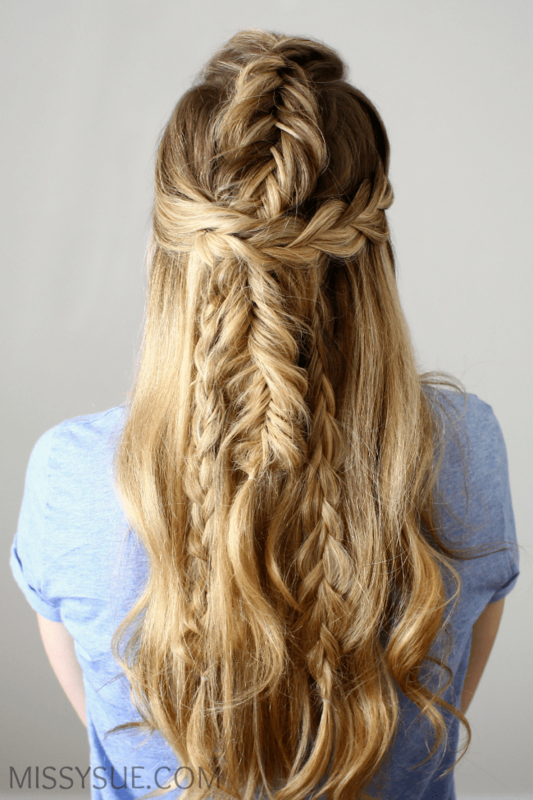 However, you can also gather all of your hair into a French fishtail braid. It’s the same as working on a French braid, only this time, you’re working it on a fishtail braid. 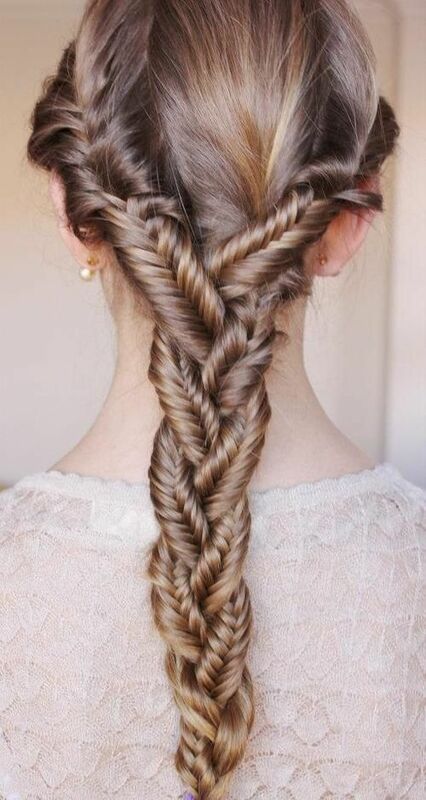 The key is to add strands of hair as you cross over sections of the the fishtail braid. 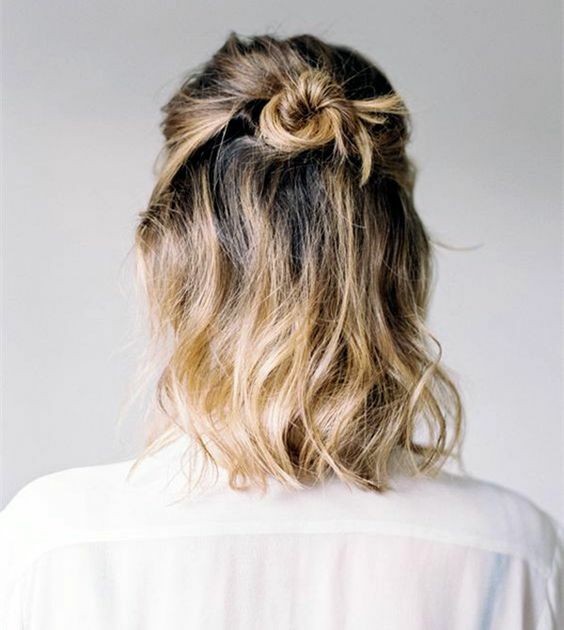 Add a little more chic-er vibe to your ponytail by turning your hair into waves first. The waves are great once you have pulled up your hair into a pony. 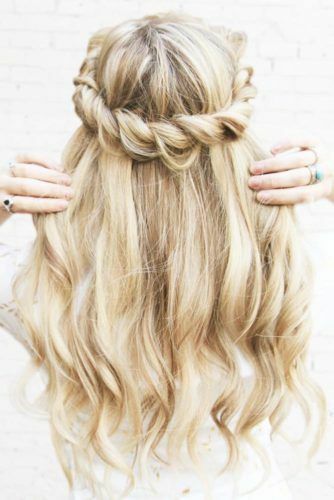 The cascading waves will make the hair appear fuller which is great if you have thinner hair. It also gives a messier look to the whole appearance. This whole look may look a bit trippy and complicated at first. However, it is actually simple. Section your hair first into three. Then, do fishtail braids on each section and then secure with a tie. 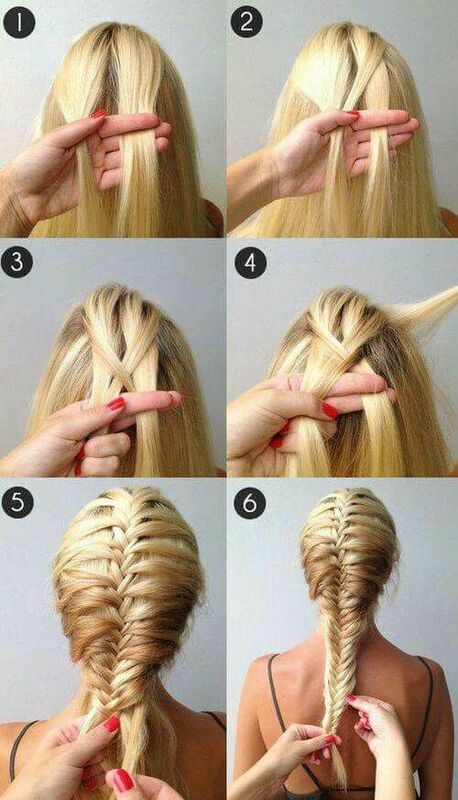 It’s better if you can do the braid until the very tip. 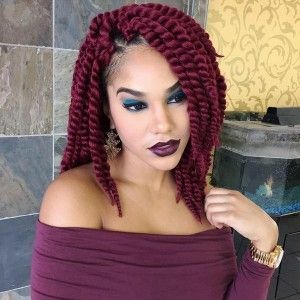 After that, treat the fishtail braids as the sections of hair you do in a casual braid then start crossing them over the other. You can then secure them with another tie and you now have a tripe fishtail braid. It’s great for any occasion you wish but especially when you’re attending daytime parties. 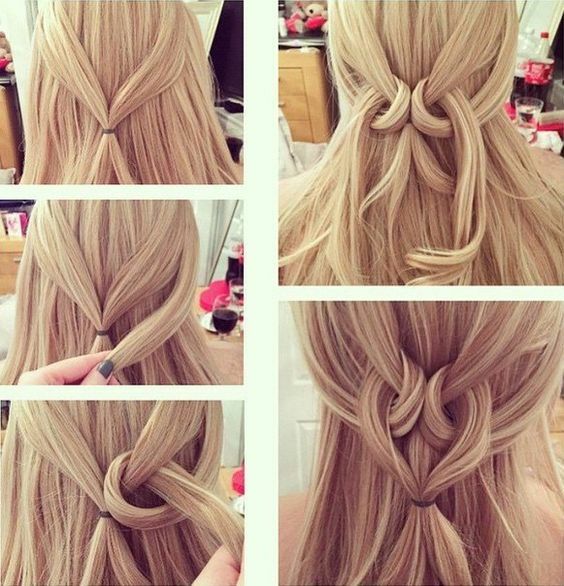 The Infinity braid is another braid style that you can do. 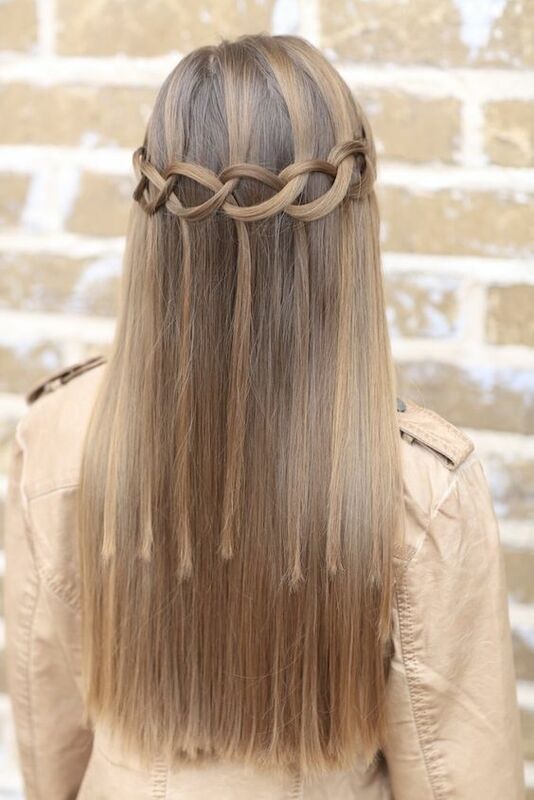 The details are more defined as compared to a casual braid. It actually looks much more secure and complicated. Dyeing your hair into different colors all at once may have appeared quite scary before. People will most often than not judge your for being different and you may not be comfortable enough for that. 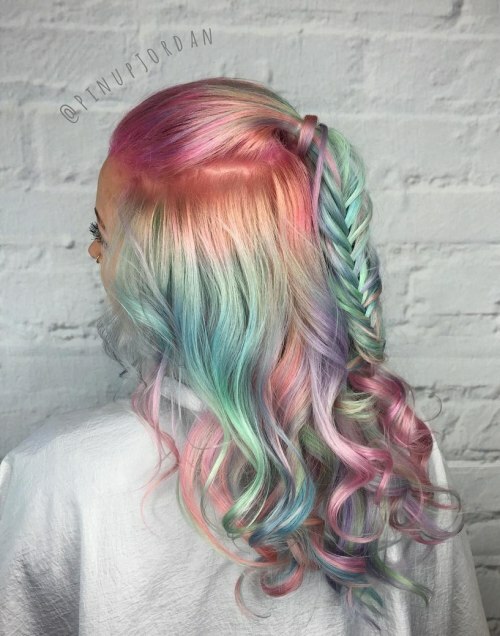 However these days, it has become quite a common practice as a lot of women often go for rainbow-colored hair. Pull through braids make the braids appear bigger. 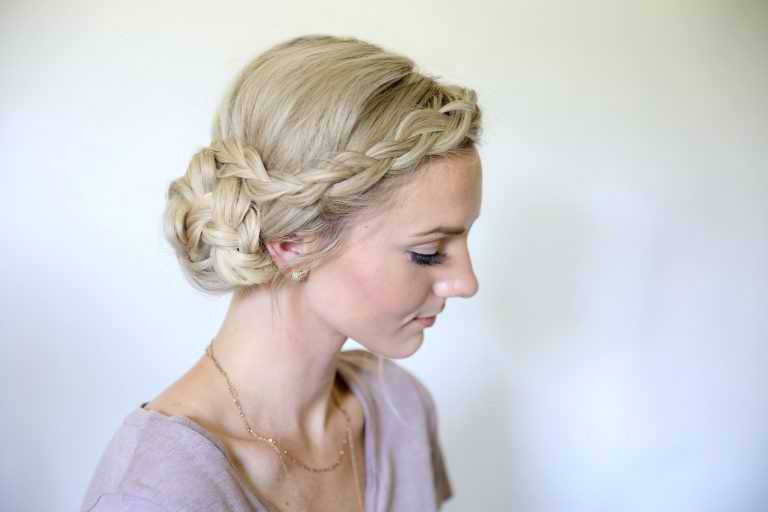 It’s somehow accentuating the hairstyle discreetly This easy side pull through braid can be done for weddings. 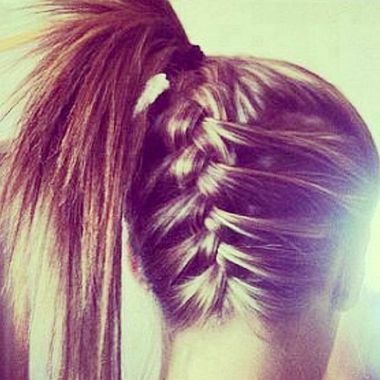 Simply create a casual side braid and then very carefully pull through the braids to make them look flatter and bigger. 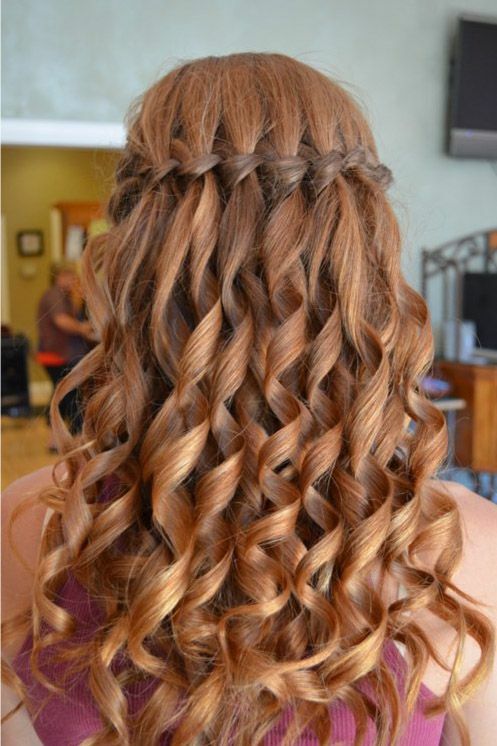 Then simply pin the end of the braid at the back and now you’re ready to walk down the aisle. 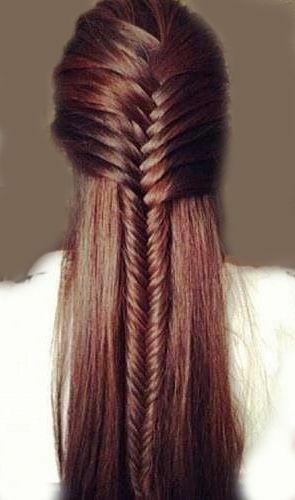 Want your fishtail to look much more elegant and classy? 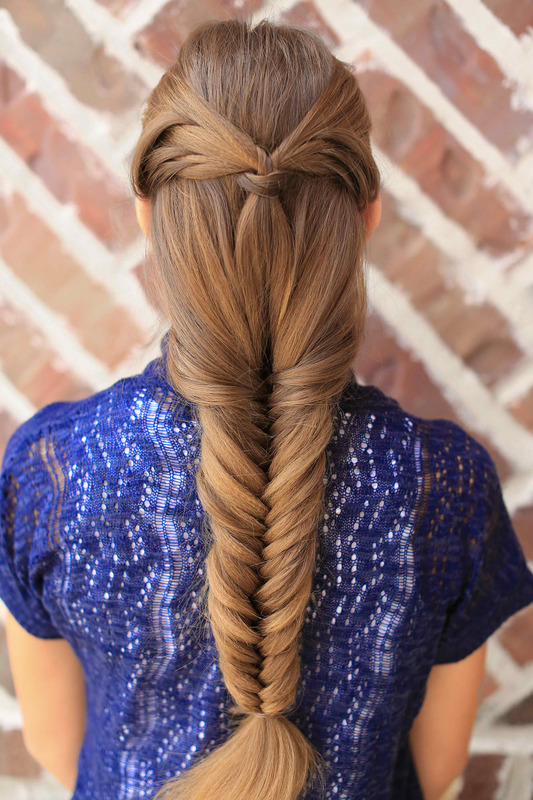 Do the Dutch fishtail braid. 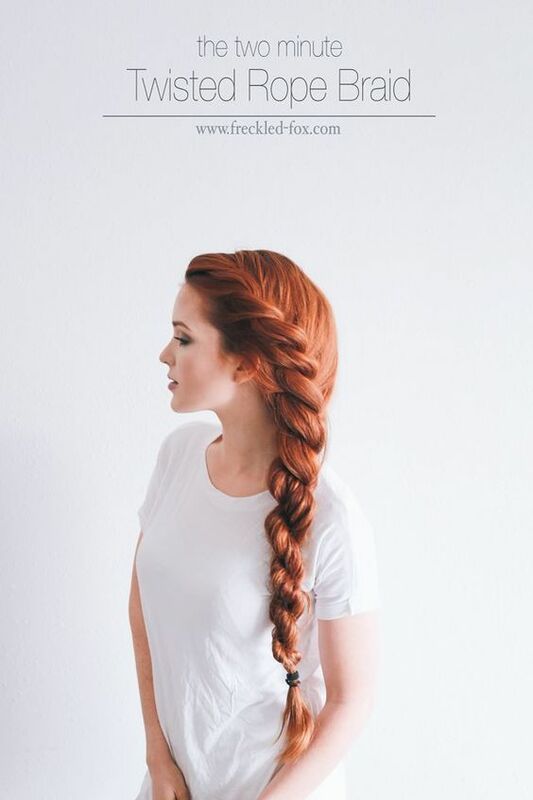 It’s basically adding the technique you do with a Dutch braid, but only with a fishtail. 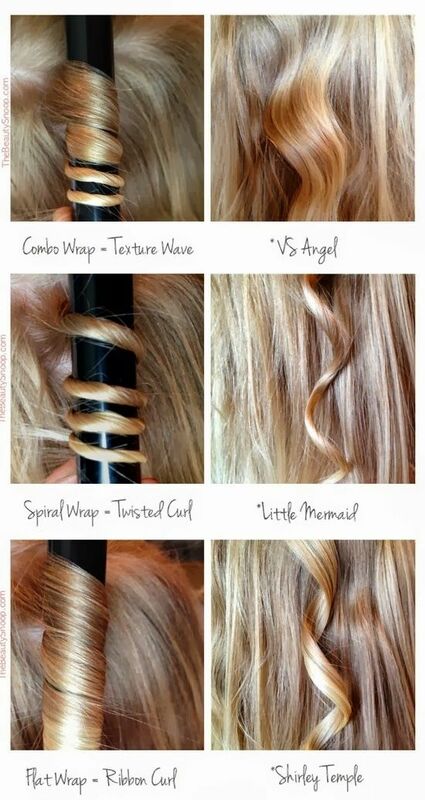 That being said, every time you take a section for your fishtail braid, you also take a part from your hair. 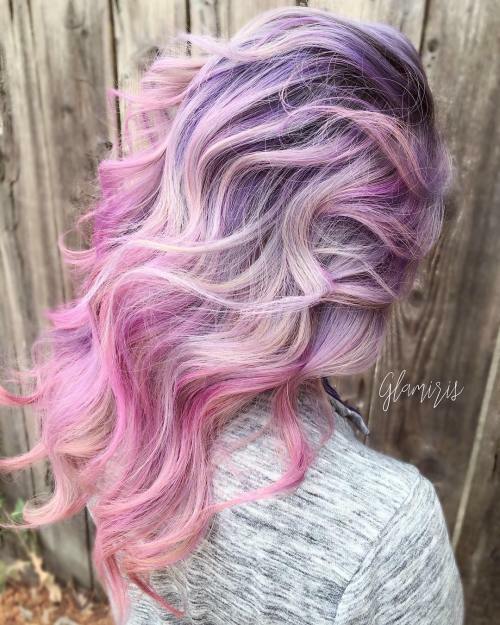 Cotton candy hair is likely the trendiest hairstyle now. 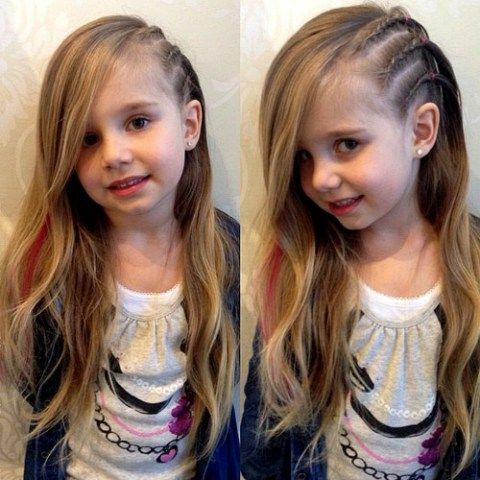 It’s basically dyeing the hair into multiple pastel colors such as pink, green, blue and violet. 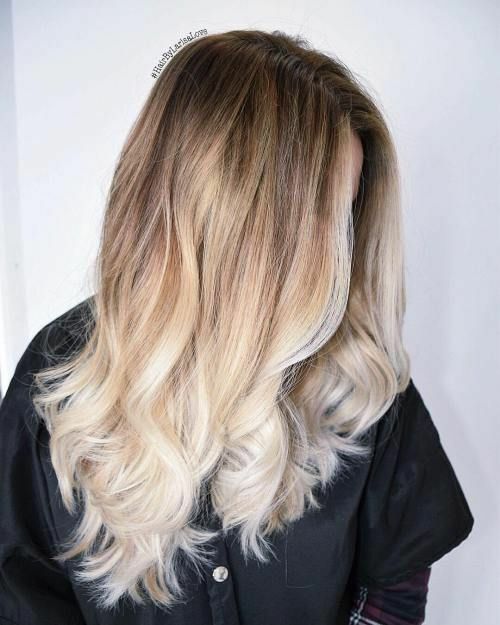 How you mix the colors on your hair varies, but some like to make it look ombre while others make different sections a different color. 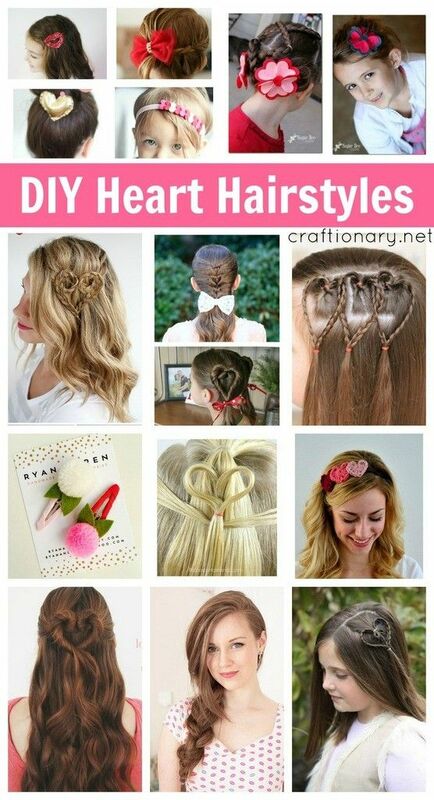 You can then do any hairstyle you want, from simple curls to braids and even updos and it would definitely look amazing. 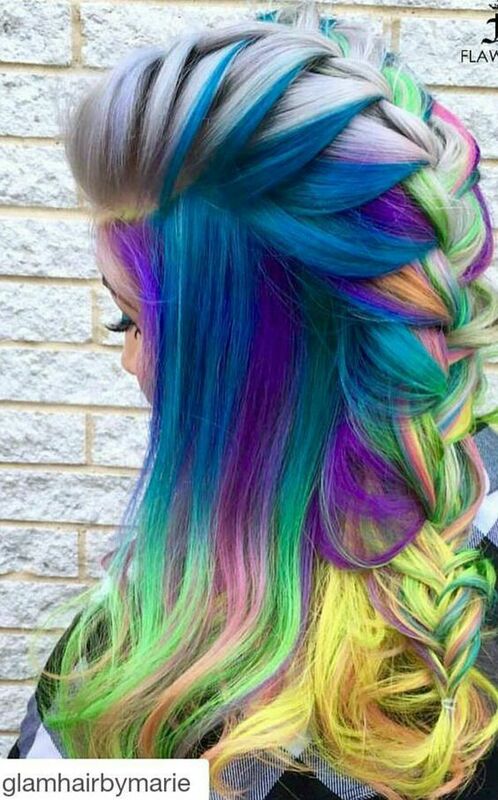 Mermaid hairstyles are often linked to dyeing the hair into blues or greens. 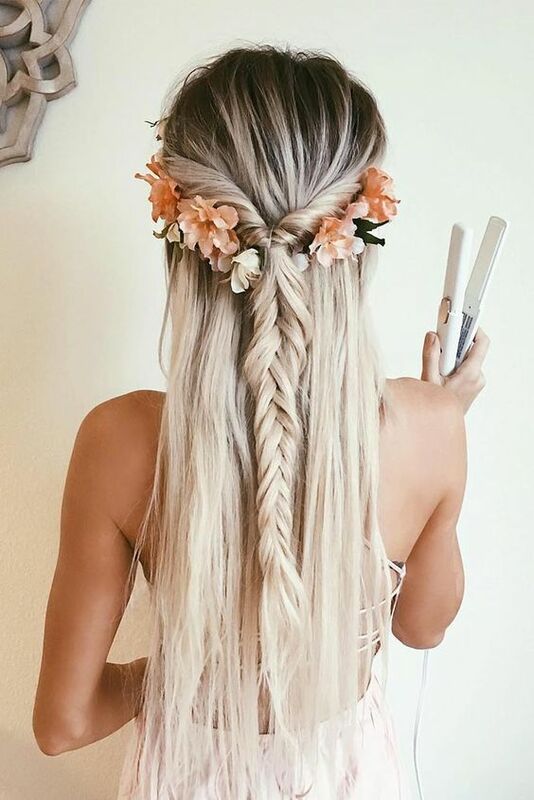 However, you can achieve a mermaid hairstyle through the help of braids. 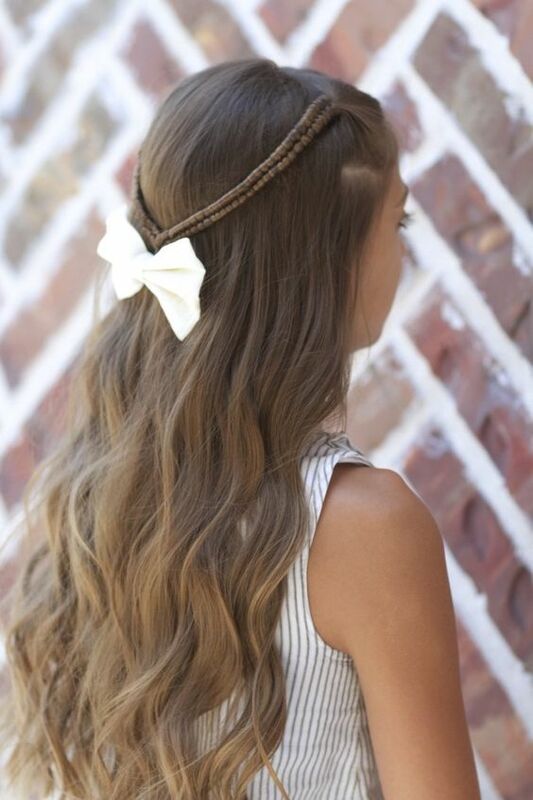 This hairstyle, for example, used a combination of different braids. 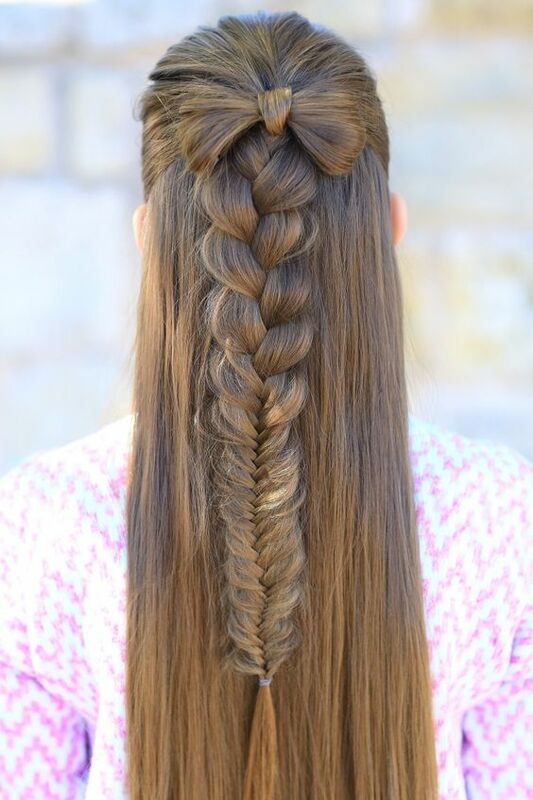 There’s a fishtail braid and a casual braid tied back to create a stunning and complex look. Hunny bun or a donut bun may look complicated at first. However with the right technique, it’s now easier to a achieve a fuller and neater bun. If you don’t have a bun maker, you can make use of an unused and clean sock. 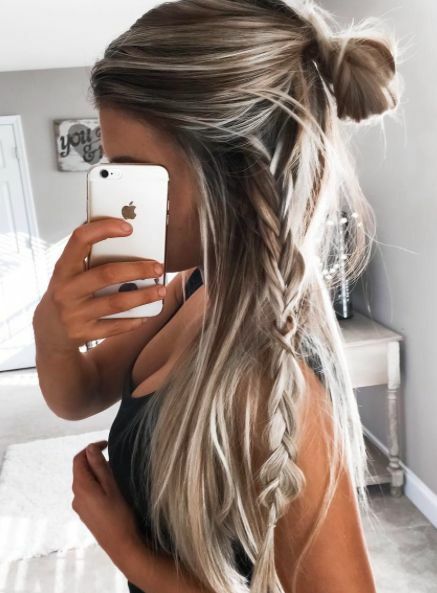 It’s also very important to tie your hair into a ponytail first so it would be much easier for your to roll your hair into a bun. The ponytail also keeps the bun more secure. 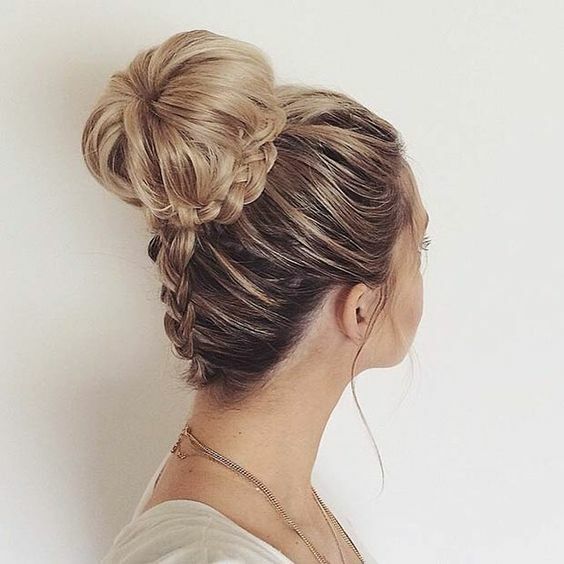 Donut buns are the best way to keep a bun looking neat and perfect. And you can definitely do it for a low bun. 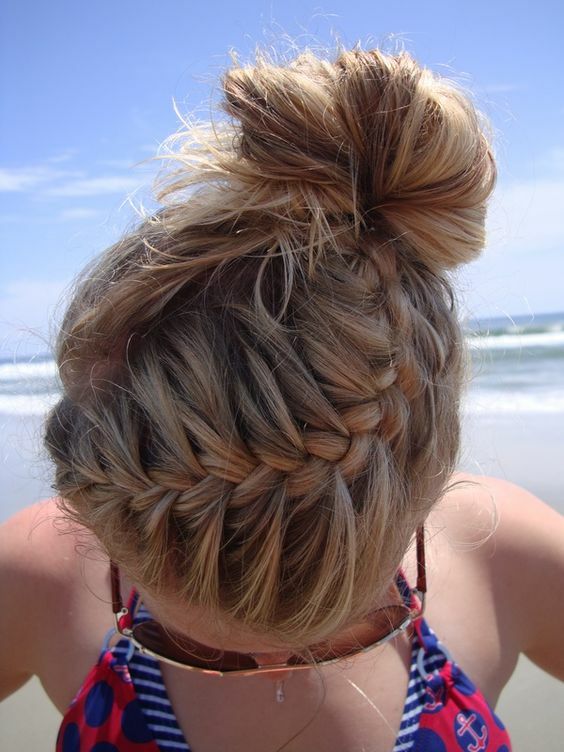 This hairstyle incorporates braids (French braids) and the donut bun. 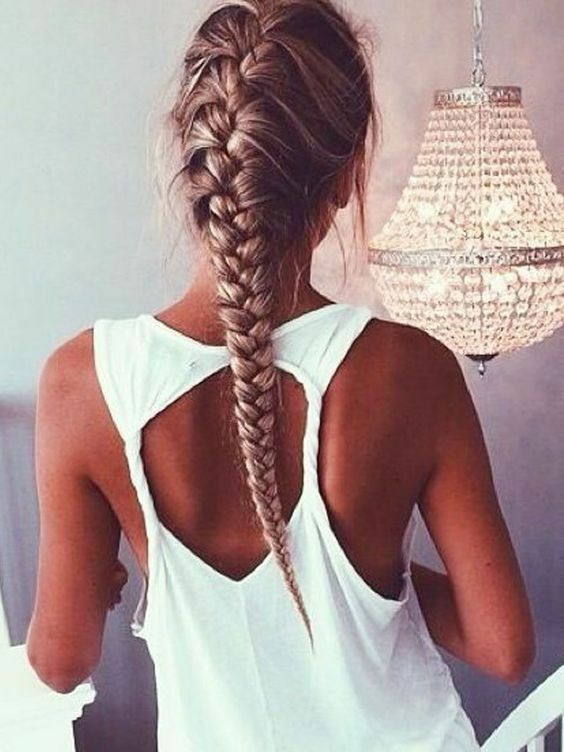 After working on your braids, tie them into a ponytail. This is important. This keeps the hair secure and ultimately, the bun from falling apart. 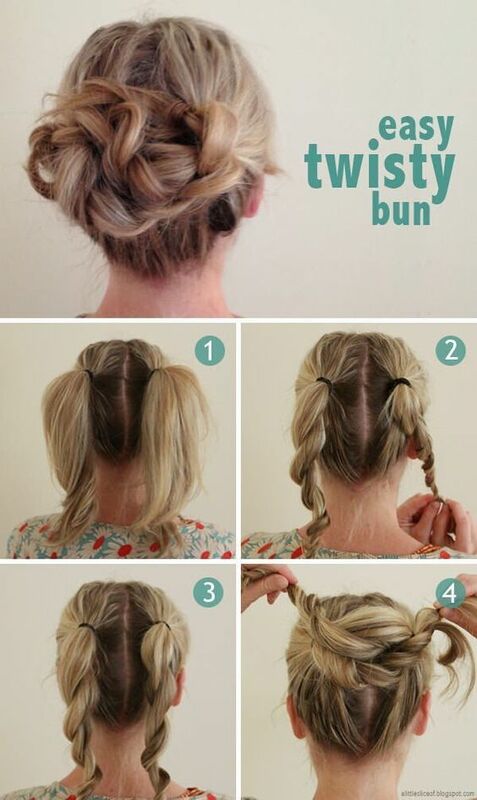 After that, you can take a sock or a bun maker and carefully roll your hair into a bun. Short hair makes it quite hard to do some hairstyles. Nonetheless, there are still a few hairdos you can create, which are more on tie backs, bang braids, top knots and half updos. This tie back hairstyle, for example, is actually quite simple. 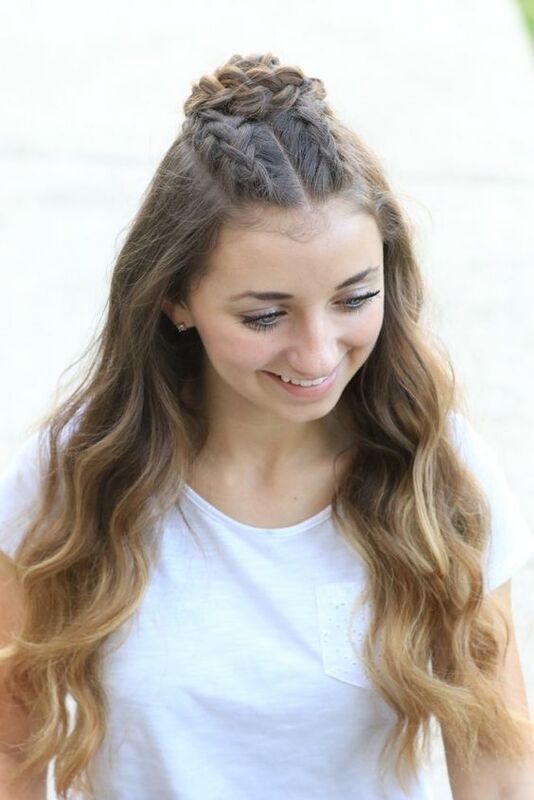 You only need to do a rope braid with your bangs and then tie them back. It’s simple and easy and you can do it in a matter of minutes which works great if you’re trying to finish your look quickly. 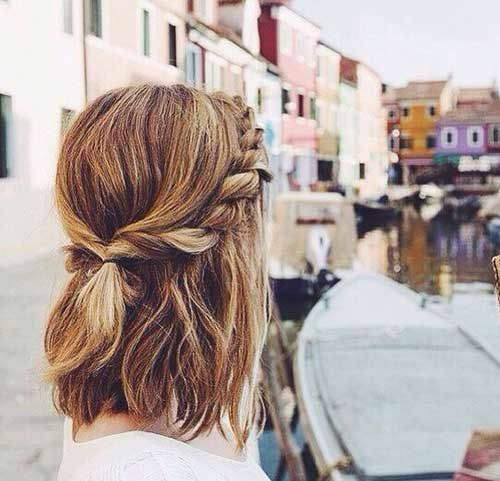 It’s also a great travel hairstyle which makes you look great on all your Instagram and Facebook selfies. Think that your ponytail is rather boring? 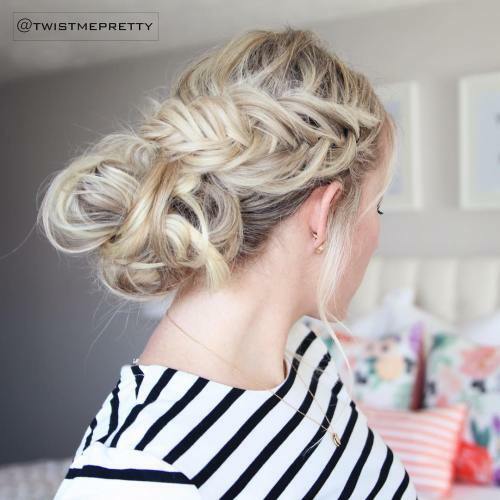 This ponytail hair hack can instantly make your look more sophisticated! 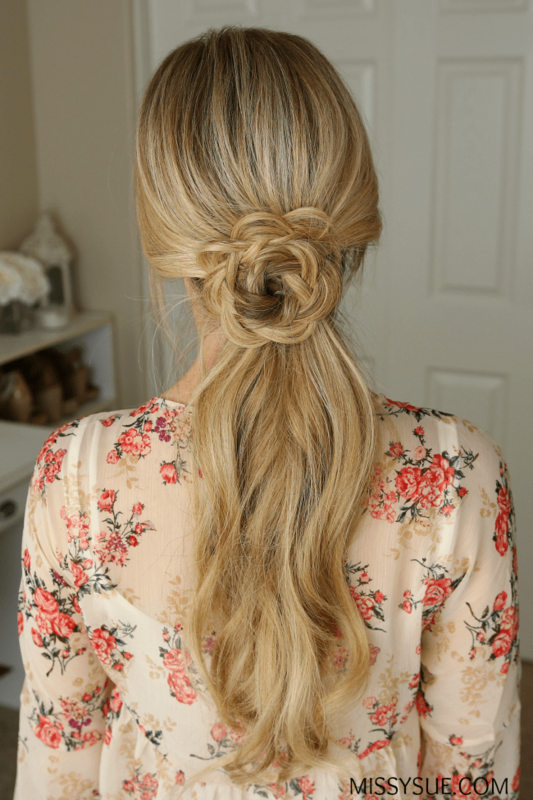 You can get a longer and fuller ponytail by simply making two ponytails: one on the top and the bottom half. Hide the bottom half ponytail with the upper one. The effect is immediate! Elsa from Frozen could be one of the most beloved Disney characters. She’s strong and empowered and after everything, she actually cares a lot about her sister. But apart from that, she’s also a beautiful Disney princess. 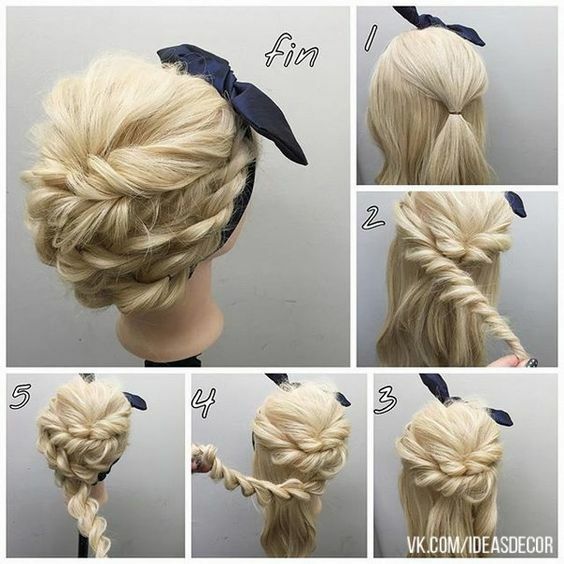 To achieve her looks, this tutorial helps you get the Elsa braid inspired by the fictional character. It’s basically a bigger and messier French braid which was done by curling the hair first. 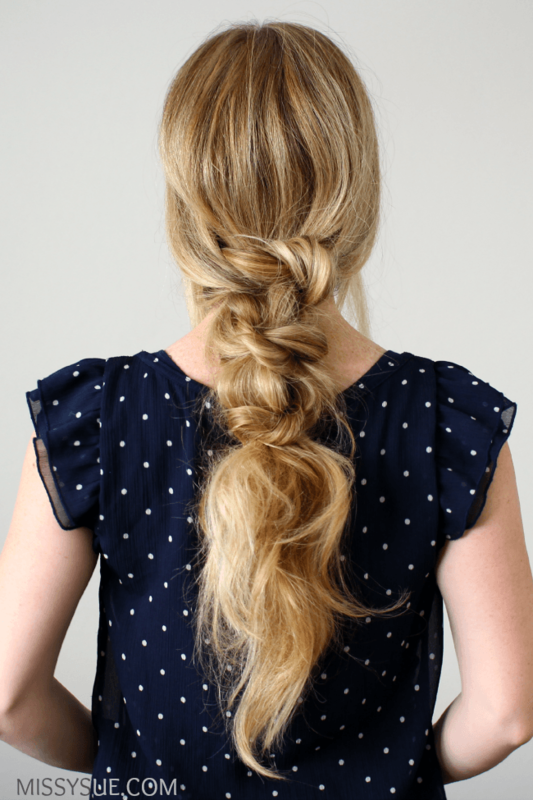 The curls make it easier to make the braid bigger and to add to the hair more volume. We invite you to choose your favorite hairstyle suitable to your personality and hair and to share your ideas and take on the hairdo in the comment section below.